This is an EBC official ride and signature release and helmets are required to ride. $20.00 minimum donation in cash/check or an unwrapped, new toy or gift for children infant to 17 years old. Gift Cards (think Movies, Target, Best Buy, Gap, etc.) are especially appreciated for the teenagers. 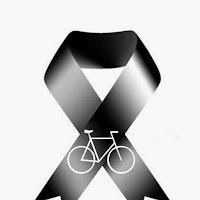 Everglades Bike Club is matching all donations up to $1,000.!!! All proceeds go to St. Stephens Episcopal Parish, Aids Outreach Ministry for distribution to needy children in the Miami areas, Coconut Grove, Homestead, Perrine and Cutler Ridge, areas. Please make this holiday a special one for all the needy children and young adults in our community. Please arrive by 7:15 am so you can gather (on the sidewalk as parking is on active streets) with your respective group level for the weekly safety and skill tutorial and announcements. Parking is available on Augusto Street and parallel parking on the street in front of the school adjacent to US 1. A must read for anyone who uses any of Florida’s roadways – anyone, including the roadway directly out front of your home – regardless of whether you are a driver, passenger, cyclist, jogger, a pedestrian, taking your dog out for a walk or walking your child to school. Florida’s weak laws regarding distracted driving put everyone at risk. No wonder parents won’t let their children walk to area schools. The article goes further to explain that no charges have been brought against the driver as of time of the article (and this blog post). 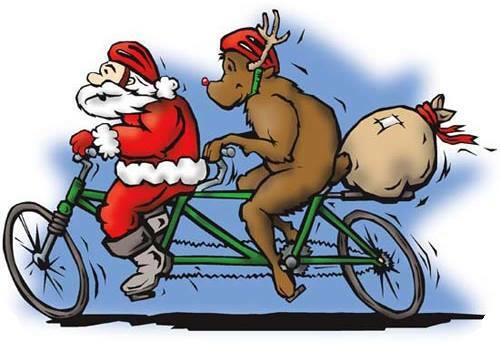 Two attorneys who specialize in bike-related cases doubt any ever will. Why? Because the article and the sources explain that Florida doesn’t have a vulnerable road user law, and the penalties for distracted driving are some of the most lenient in the country. A first-time offense is considered a noncriminal traffic infraction, while second offense within five years—if it causes the death of another person—can result in 120 hours of community service, as well as civil penalty fees. Its not too cool out for the local bees - having a field day on our Dombeya seminole, which is also commonly called the Florida hydrangea. Nice to see the local bees here doing their job. There are times when the bush itself sounds like it is buzzing due to the large numbers of bees this plant attracts. Congratulations to our hard working Palmetto Bay Clerk Missy Arocha. Today is her birthday. 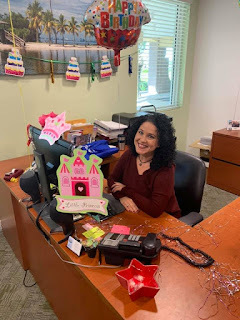 It has been a pleasure to watch her take on the job as clerk for the Village of Palmetto Bay. I look forward to additional improvements and enhancements to the village. Coming online soon will be a South Miami-Dade Passport services office, by our Clerk Missy Arocha. I have also had the pleasure of working with her on setting up improved document handling including the implementation of DocuSign. I want to officially thank Village Clerk Missy Aroacha for her service to the village, including coming into the office on her special day to share with Village Team Members! I am not going to recreate the wheel here so I am going to direct everyone to the wealth of information provided by the Florida Bicycle Association (CLICK HERE) to view the FLORIDA BICYCLE ASSOCIATION website. There is significant information on this site including (but certainly not limited to) Road/Path Rules and other significant resources for all concerned – both bicyclists and motorists. Cyclists are not required to ride on the shoulder.They may choose to do so, but shoulders can present hazards to cyclists. Cyclists should never drive in the gutter or hug the curb. Many inexperienced riders do this because they don’t know it greatly increases their risk of crashing. Successful bicyclists “Ride Big.” They ride well into the lane to increase their visibility to other drivers, give themselves operating room and discourage motorists from trying to squeeze past them in narrow lanes. My personal goal is to continue to advocate for cycling here in, as our County Commissioner refers to it: #TheBikeDistrict. This includes promoting bicycling as recreation, transportation as well as to promote healthier lifestyle. 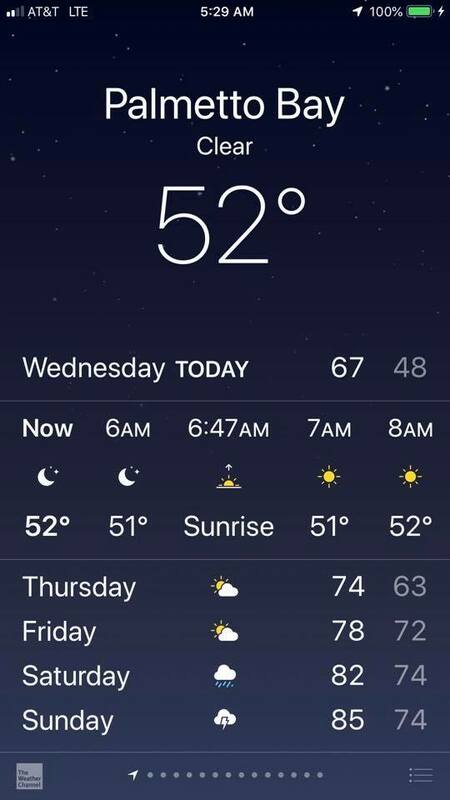 Here is the just for fun photo of the day - it was 52 degrees Fahrenheit here in Palmetto Bay at 5:30 AM on Wednesday, November 28, 2018. A chill day. A day that can actually wear that sweater we received as a gift 5 years ago. Cold weather is a challenge to the homeless and those who fend for the homeless. Many are unable to respond as we do when it gets cold, we don more clothing or turn on heaters. This weather is especially tough on Miami-Dade's homeless. Wednesday (4am-5am), November 28, 2018 partly cloudy. 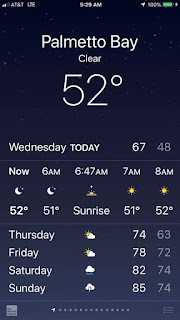 Low temperatures are expected in the upper 40s ̊ F.
The Miami-Dade Homeless Trust will be in COLD WEATHER MODE effective Tuesday, November 27, 2018, 10 am until 11 am, Thursday, November 29, 2018. The Village will post notice of a decision or proposed decision regarding contract on the Village of Palmetto Bay website. Preparation and costs incurred by the Proposer in developing the submittal shall be solely the responsibility of the Proposer. Carlos Rodriguez, 62, was identified as the latest victim to die from his injuries. Denise Marsh, 53, was pronounced dead at the scene. I find it extremely troubling how so many people feel it is acceptable to drive while distracted. Most often the distractions are voluntary, created by the driver themselves. It is almost as if some drivers try to find something else to do to take up their travel time.Driving and texting is unacceptable. As a cyclist, a runner, as a person simply walking my dog through our neighborhood, I have had more than my fair share of close calls. 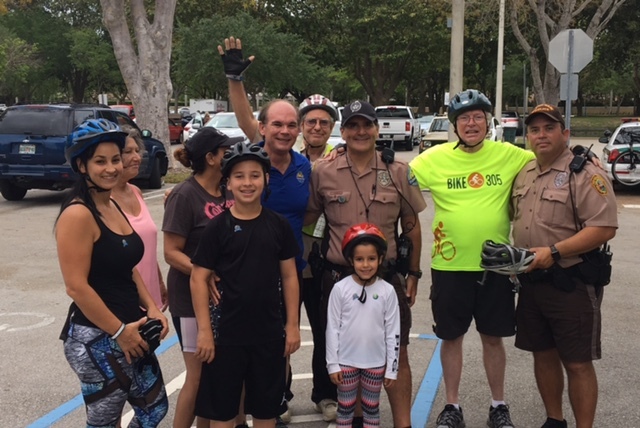 I continue to be an active leader of Palmetto Bay, a community that has consistently pushed for strengthening the distracted driving laws. (CLICK HERE to view some of our efforts). This is a matter of public safety, of preserving life. I don’t understand the reluctance. Innocent people are being permanently injured, worse yet, lives are being lost. I may be leaving elected office on December 5, but that will not silence me from continuing the efforts on this issue of great public safety. The time has long passed for the Florida Legislature to properly take this issue on and strengthen texting and driving Law currently on the books. How many more residents of this great State have to pay the price? I want to thank past members of our Palmetto Bay Youth Community Involvement Board, particularly Mark Merwitzer, a Palmetto Bay resident, a founding member of our Palmetto Bay Youth Community Involvement Board, and past chair of our Youth Board. Mark is now a student at the University of Florida and is ready once again to lobby our Florida Legislature this coming year. The Florida Legislature has pre-empted local governments on many issues, including anti-distracted legislation within their own jurisdictions (as they should as this is a State and a National problem, but preemption is a responsibility to act on our behalf). We have called upon the Florida Legislature to hear the pleas and act numerous times! Let’s get Florida off the list of a mere 4 states(out of 50) which do not consider deadly distracted driving to be a primary offense. It is up to the Florida Legislature – and our Governor – to enact a statewide law in order to keep our communities safe – everywhere – in public and private, in school and in parks AND on the roads. Mark has been a contributor to my blog - one of my medias used to stay on the record and push out many issues of importance. His latest post was last January - on, of course, the importance of ending distracted driving. Please follow the link (click on the headline) to view Mark's post of January 14, 2018, Guest Post - Mark Merwitzer - an advocate for safe roads - ending distracted driving. Thank you Mark and fellow students for the work with Miami-Dade County and other municipalities. The Florida legislature has seen a massive push from numerous local governments across Florida. 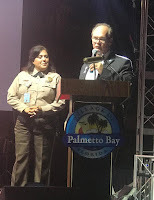 Palmetto Bay has included the anti-distracted driving legislative annually. We want lives saved. How many more lives will it take before our legislature and governor act? Please CLICK HERE to view prior posts relating to this Mangowood Crosswalk and other public works, safety posts involving crosswalks. This is not a mirage. 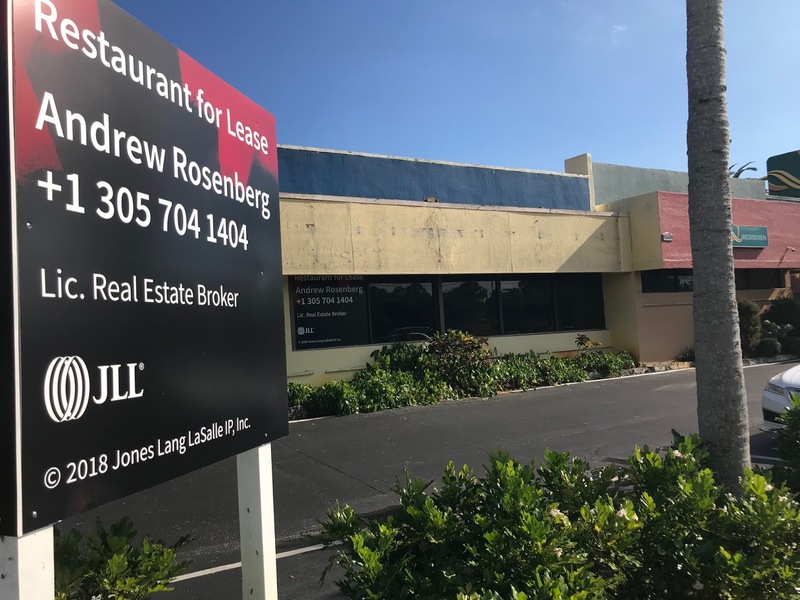 A “Restaurant For Lease” sign is now up at the Quality Inn, the long time Palmetto Bay location of Romanza. See my 2017 report: A sad day in Palmetto Bay - Romanza has closed - last day was Friday, April 28, 2017. and Hal Feldman's report of May 4, 2017, Trattoria Romanza Closes. The public can see that changes are currently ongoing at the Quality Inn and it will obviously include a new restaurant. I am looking forward to a detailed report from our local real estate expert Hal Feldman on the multi-million dollar renovations and what updates we can look forward to at our local Quality Inn. 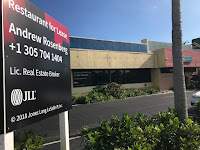 The Quality Inn restaurant location (as it currently exists) has remained empty since Romanza's 2017 closing, while Romanza eventually relocated near Miami-Dade College Kendall, at 10521 SW 109th Court (formerly College Park Inn) in June of 2018. More information on Romanza's re-opening is contained in Hal Feldman's report of June 24, 2018: Romanza Rises. 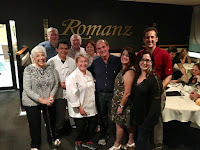 I was fortunate to be among the regular customers who shared some fond memories of Romanza at their closing night of Friday, April 28, 2017. A great, and sad, evening. Proprietors Chef Fernando Cortez and his wife Ana Maria ran a very popular restaurant in Palmetto Bay. We look forward to see what opens in that location and the overall renovations to the Quality Inn. Palmetto Bay has many small business - and I make it a habit to support our local businesses first whenever possible - whether it is a pump store, flooring, restaurant, pool supply, have our cell phones repaired - you get the idea. we even had a TV repaired (remember repairing, rather than simply 'replacing' TVs?). We did and we found a local TV repair right here in Palmetto Bay - just north of 144 street. I can't pick the most outstanding small business in Palmetto Bay - we need to support all of them. So where do you take your business in Palmetto Bay? I posted a photo collage below of some of the places I tregularly patronize. I honestly do not have enough room to list all the businesses I patronize. Nurturing small businesses in Palmetto Bay is one of the reasons I sponsored the creation of the Palmetto Bay Partnership Advisory Committee which was created via Ordinance. Its Mission: To realize the economic and social potential of the Village of Palmetto Bay by providing advisory input, and recommendations to the Mayor and Council. Assist the Mayor and Council in implementing these recommendations, and those recommendations that accrue from the Village’s Strategic Plan, as requested by the Mayor and Council. These businesses are where we shop, dine, workout or receive other services including various repairs. The Palmetto Bay Business association is largely made up of local owners living in and around our Palmetto Bay community. The PBBA meets the first Thursday of each month and members pay only $20 to enjoy fabulous food, conversation and a featured speaker. The monthly event gathers to network at 11:30 a.m. and is usually finished by 1:15 p.m.
A “highlight” is always the Village update, a short presentation on relevant updates regarding Palmetto Bay. Please support our local business, including those listed in membership of the PBBA. 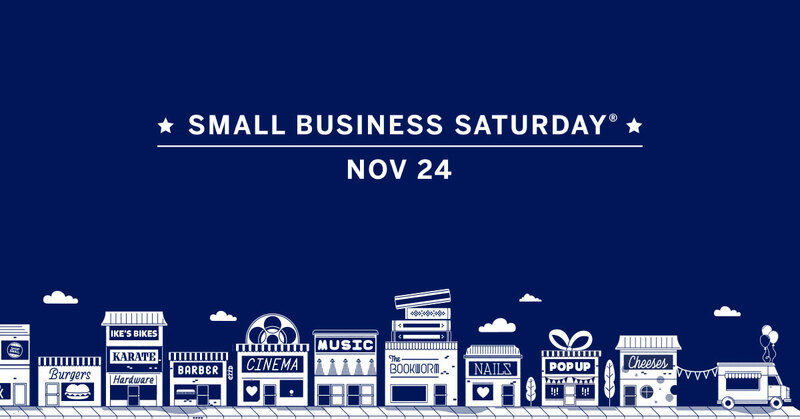 Saturday, November 24, is SMALL BUSINESS SATURDAY! Small Business Saturday falls annually on the Saturday after Thanksgiving, between “Black Friday” and “Cyber Monday.” It is a day to “celebrate and support the small, independently owned businesses that help boost local economies across the country. Small Business Saturday was created in 2010 in response to small-business owners’ most pressing need — more customers — in the face of competition from the big-box and online retailers. We are fortunate to have the Palmetto Bay Business Association - CLICK HERE to download and view a 30 page .PDF file listing business members of the Palmetto Bay Business Association. You might be surprised to find a business that you need right in your backyard. 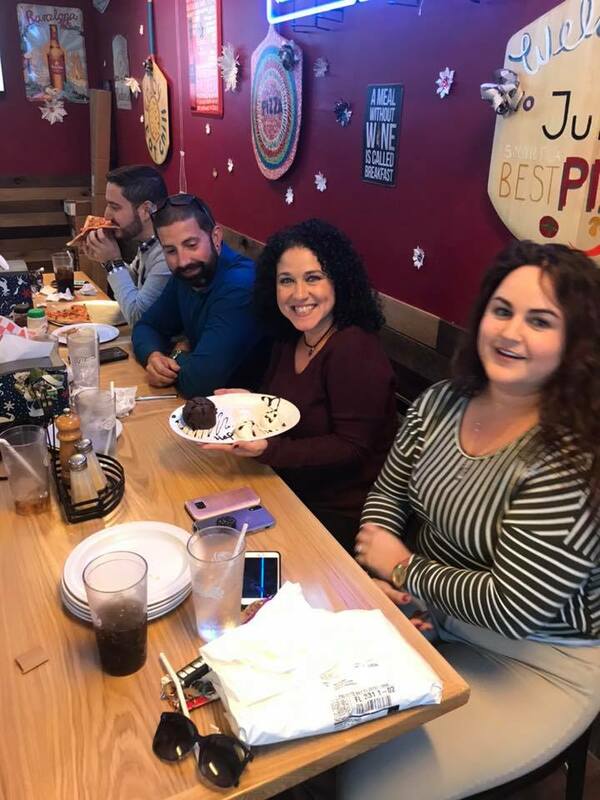 Besides the listed PBBA Members, Palmetto Bay is home to a large variety of businesses including bicycle shops, florists, flooring & design, clothing stores, and many local jewelers. And, of course, you can take a break at or dine locally post shopping at any of the numerous restaurants from $ to $$$$ that we are fortunate to have located here in Palmetto Bay. 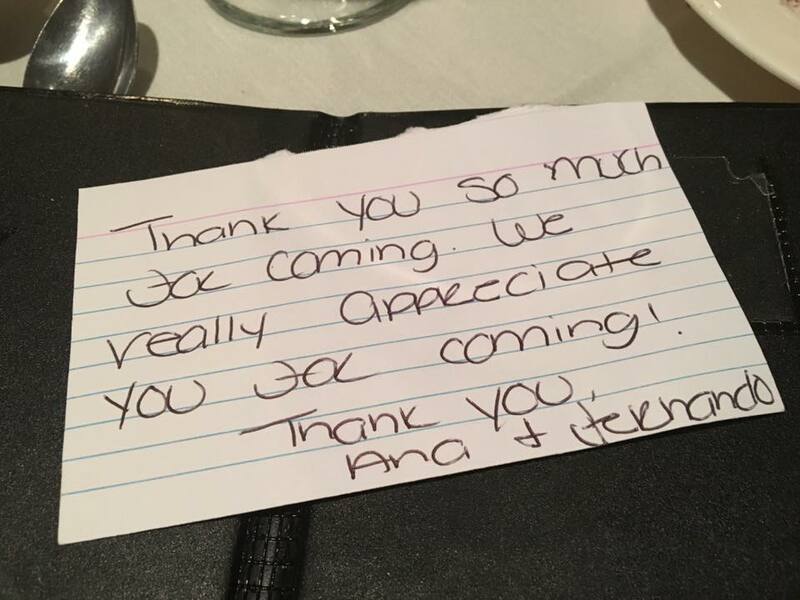 (Many of these establishments offer gift cards that make great holiday personal or business appreciation gifts). As Mayor, I encourage everyone to make every effort to patronize Palmetto Bay’s small & independent businesses on Nov. 26. Heck, please make every day a "small business Saturday". 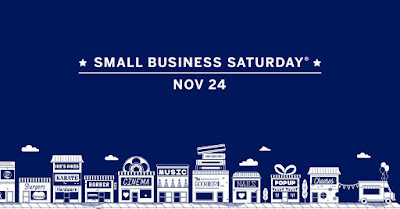 Credit: AMERICAN EXPRESS - In an effort to support local shops that make our communities strong, American Express launches Small Business Saturday on the Saturday after Thanksgiving to encourage people to Shop Small and bring more holiday shopping to small businesses. There is much to be grateful for this Thanksgiving. Alexandra, Katherine, Meredith and I wish you and your family the happiest of holidays. Like millions of others across this great country, we will celebrate Thanksgiving, honoring a tradition older than the nation itself. 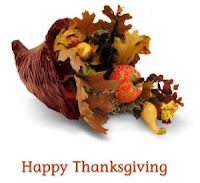 The Continental Congress proclaimed that the "inhabitants of these states" observe a day of Thanksgiving back in 1782. Ever since then we set this day aside to give thanks for all our blessings, and this year we have many things for which to be thankful. Please also take the time to remember and help the less fortunate. Many families and children are doing with less, Take the time to become involved in a local charity, with time, if not a donation. There are many ongoing charities that are looking for donations and volunteers. Thanksgiving is the busiest traveling season of the year. Please be aware and be safe. Speaking of football, this is the 25 year anniversary of the Dallas Cowboy, Leon Lett’s, Thanksgiving Day gift to the Miami Dolphins. I have embedded a video of the event. Kendall Rabies Alert Reactivated Due To Rabid Raccoon & Otter: Just days after lifting a rabies alert for the area around Zoo Miami, it's been reinstated after a seventh raccoon and an otter tested positive in the Kendall area. Review the notification and take notice. A rabies alert has been issued that covers Palmetto Bay. Information is that a rabid otter bit a person and at least three other people were possibly exposed to the deadly disease in the area. Information is from the Florida Department of Health in Miami-Dade. Keep your pets under direct supervision so they do not come in contact with wild animals and contact Miami-Dade Animal Services at 3-1-1 if you have concerns. Call 3-1-1 to report any stray dogs in your neighborhood or private property. Owners can hire a nuisance wildlife trapper for removal of wildlife. If your pet is bitten by a wild animal, seek veterinary assistance for the animal immediately and contact Miami-Dade Animal Services at 3-1-1. Do not handle, feed or unintentionally atrract wild animals with open garbage cans or littler. Do not leave food sources out for wildfire such as pet food or unsecured garbage. Prevent bats from entering living quarters or occupied spaces in homes, churches, schools and other similar areas where they might come in contact with people and pets. "The only treatment for human exposure to rabies is rabies-specific immune globulin and rabies immunization," health officials cautioned. "Appropriate treatment started soon after the exposure will protect an exposed person from the disease." For more information on rabies click here, call 305-324-2400 or call Miami-Dade County Animal Services at 3-1-1. I will keep you advised as will official Palmetto Bay Government and Miami-Dade County media. Follow up – requesting status of the $1,000,000.00 TAP grant, will the new council follow through to maintain our priority for bicycle lanes, attempt to repurpose the money or reject this grant? It is decision time: Bike lanes or not, safe streets or not. Follow through with the Palmetto Bay Traffic Master Plan and Bicycle and Pedestrian Master Plan or not? Will the new council follow through or a will there be change in council policy? The possibility of bike lanes in Mangowood was a hot button issue, but decisions need to be made now that the elections are over and the two year window is closer than many realize. So who wants to reject $1,000,000 to cover the cost of building bike lanes (also part of our Safe Routes to School efforts)? And in the interest of full disclosure, our (Palmetto Bay's) match to the $1 Million is $1,860,937. Palmetto Bay was notified on July 20, 2017, that we were approved for a TPO TAP grant. We requested $1,000,000 and will match with $1,860,937, as stated above. See my prior post of July 20, 2017, Palmetto Bay Awarded $1 million TAP grant for bicycle lanes project The request was for bike lanes on 82nd avenue, partially completed between 160th south to 168th Street. "The purpose of this project is to construct bicycle lanes along both sides of SW 82nd Avenue, from SW 136th Street to 168th Street. Along with this would be milling and resurfacing the road, culvert widening, intersection improvements, drainage installation and modification, potential tree relocation and installation of green paint at conflict points." Total Estimated Project Cost per the application was $2,860,937 (Page 6 of the grant application). The grant has a two year window and our match is scheduled to come from CITT revenues and not from general funds. This grant is to build bicycle lanes to work toward completion of our bicycle master plan. The TAP grant will help considerably in beginning this long overdue process in complying with this approved master plan. Congratulations are in order for the staff who worked hard in acquiring this grant. This is an item that needs to be sorted out by the new village council. Do we or don't we? This TPO TAP grant and the bike lane issue was discussed as part of the TRAFFIC SOLUTIONS ACTION PLAN, (Updated 2/16/18), Incorporating Ideas Generated by Participants at the Traffic Solutions Summit on February 3, 2018 (CLICK HERE to view the 4 page action sheet - specific item located at bottom of page 3 of 4). CLICK HERE to view the grant award and the details. The Palmetto Bay project is item #16 and specifies the purpose of this grant: SW 82nd Avenue, Palmetto Bay, Commuter Access. We will begin to see in the next few months whether the newly elected Mayor and Council maintains commitments made to date by following through on the Transportation Master Plan and Bicycle and Pedestrian Master Plan (otherwise known as 'strategic plans' for their respective purposes) or will reject all and leave substantial grant money on the table, shifting future costs of this infrastructure onto the village resident tax dollars. Palmetto Bay Police Commander Maria Guerra has received her promotion to Major within the Miami-Dade Police Department. It's not just Police Commander Guerra, its also Major Guerra as of Monday, November 19, 2018. The position of Village Police Commander carries with it the commensurate MDPD title of Police Major to confirm with the chain of command within MDPD. Major Guerra now wears the golden oak leaf, the insignia for the rank of major. Major Guerra earned the village commander post, succeeding Major Gady Serralta, who now serves as U.S. Marshall of the Southern District of Florida. Guerra's promotion to Major followed in early November, announced at the 2018 State of the Address. The selection of (then) Lt. Maria Guerra continues a long-standing tradition of promoting from within our own ranks. Commander Guerra started her career in law enforcement in 1989 and over that span of time has earned more than 60 commendations. She has been part of the elite Northside Crime Suppression Team and, in 2003, was promoted to Lieutenant while serving in the Narcotics Bureau. She then became the first female K-9 Lieutenant in the Miami Dade Police Department. We were lucky enough to welcome her to our Palmetto Bay Policing Unit in 2015. The manager's selection of Major Guerra was approved at a Special Village Council Meeting that I called for October 15, 2018 - the meeting called specifically for the purpose of the Village Council to take action on the Village Manager's selection of Lt. Maria Guerra as the Village Police Commander. Congratulations Major Guerra, we look forward to your continued service to our community. I am providing examples of how the unsolicited proposal process works in Palmetto Bay. Here are two examples of unsolicited bids - and the procedure for how the public entity (Palmetto Bay) responded to the unsolicited bids per State law. REJECTED: The first is a (prior) Unsolicited Proposal for Parking Improvements for Village of Palmetto Bay through Private Public Partnership (PPP). This was a REJECTED unsolicited proposal for a qualifying public-private partnership (PPP) for the Palmetto Bay downtown area. The discussion of the downtown parking garage was held at a special council meeting held on May 15, 2017. The first firm presentation was performed by Bermello Ajamil & Partners. The second firm presentation was performed by Structured Parking Solutions. Following the firm presentations, the representatives from each firm answered questions posed by the Village Council where upon the following resolution (item 4A) was offered, passed and then deferred. Councilmember Siegel Lara moved item 4A forward. Seconded by Councilmember Cunningham. Manager Silva stated that based on the results of the bid tabulations, Bermello Ajamil & Partners was the firm selected to start the negotiation process for the project. Motion: Councilmember Singer then made a motion to defer item 4A until the September Regular Council Meeting. The motion was seconded by Vice Mayor DuBois. Vote: All voted in favor (5-0). The motion passed unanimously. Exampled of an ACCEPTED Unsolicited Bid proposal: The Village of Palmetto Bay received an unsolicited proposal for the management and operations of the "Parkview Cafe" at Coral Reef Park which became known as UP-No. 1516-12-002. The village responded in compliance with Florida Statutes 255.065. Resolution 2017-110 provides a summary of the successful UP process. This is one example of how the process works resulting in approval/contract. 3 responses were received in response to this unsolicited proposal and one, "Hole in the wall" was selected and should be operational by early 2019. The Village Council approved the selection of Hole in the Wall Tavern LLC, in October 2017, for the Management and Operations of the “Parkview Café” at Coral Reef Park pursuant to UP No. 1516-12-002.